Charles Lane has written in the Washington Post (1.21.14) that it is time to discontinue the Olympics. They have been marred by politics – the boycott of Montreal in 1976, Russia in 1980; Los Angeles in 1984; snubbing (no Obama, Biden at Sochi); and terrorism at the Munich games in 1972 – and are rarely profitable. Competition for the Olympic Games has become so intense that there have been numerous allegations of favoritism and bribe-taking up and down the line. Members of the IOC, for example, were dismissed under the cloud of these charges. One of Lane’s most serious contentions is that the Olympics are no more than a carnival of corporate sponsorship and commercial excess, a display far removed from the original intention and vision of Pierre de Coubertin and the first Olympic Games in Athens in 1896. Coubertin felt that the Games should be a celebration of amateurism and international cooperation, and be an important way to promote world peace and understanding. Today the Olympics have become a crass commercial enterprise and are as much a display of product promotion, corporate influence, and media money as athletic talent. Amateurism has gone out the window and professional athletes compete for glory and the lucrative endorsements to follow. Athletes, driven by financial rewards, are as guilty of doping at the Olympics as they are at home. According to a superb ESPN documentary about the men’s 100-meter dash at the 1988 Summer Games in Seoul, six of the eight finalists were eventually implicated in drug use — including Canadian Ben Johnson, who was initially declared the winner but was stripped of his gold medal after testing positive for steroids. While the Soviet Union still existed, the Russian, Bulgarian, and Macedonian weightlifters were a steroid joke. Only the most naïve observer assumes that given the drug scandals of Lance Armstrong, Alex Rodriguez, and hundreds of other American athletes, the Olympics will be clean. Worst of all suggests Lane, is the fact that athletes are being corrupted even more by momentary fame, endorsements, and undreamed of wealth. American ‘amateur’ football and basketball minority athletes are sold a bill of goods – the promise of future riches for a short-term glory and an NBA/NFL future. They fill Midwest mega-stadiums and university coffers; but all but the most exceptional athletes quickly fade from the public spotlight and return to a life with few prospects. In the United States televised coverage of Olympic events is highly selective, focusing on those in which American athletes compete. Instead of live coverage of the many events in play, producers choose to fill air time with backstories, human interest vignettes, and tales of American-style struggle and overcoming hardship. Live coverage is rare for video broadcasting allows producers the flexibility to show what they want to preferred audiences at the right time. If countries are linking up for admission to the select Olympic club, and if they are willing to beg, borrow, and steal to put on a grand show, then what is Lane’s problem? Is not commercialism the word of the day everywhere and individual private enterprise the mantra of the United States? Most Olympics have either broken even or made marginal profits; and those that operated at a loss were under some kind of boycott, threat, or economic hardship (Athens 2008). The Olympics in Beijing, Seoul, Los Angeles, and Salt Lake City all netted well over $100 million. Supporters have insisted that the millions spent on infrastructure which, although lowering bottom line profits pay big long term economic and political dividends. To be sure many Olympic stadiums go underutilized or disused after the big event, but roads, subways, bridges, and airport renovations add to the total benefits. Critics of these investments, no different than public expenditures for sports stadiums at home, cite opportunity costs. Why should a city, state, or country indirectly improve social services and infrastructure when it could do so directly with appropriate public and private spending? Second, supporters grudgingly argue that there is enough crass commercialism, corrupt athletes and venal sponsoring institutions, profit motivation, and cheating right here at home to last a lifetime. A little more at the Olympics can’t hurt; and in fact it won’t even be noticed. 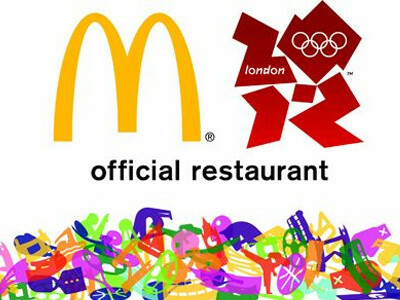 Yet the Olympics is a center-stage activity and so is the commercialism. The incessant selling of everything cannot help but tar the athletes with the same brush. Third, Olympic advocates say that there is no such thing as keeping politics out of anything. Politics is no more than the game of one-upsmanship played out at the family, community, municipal, national, and international levels of human enterprise. Everything is political. The United States is lucky that it has not been boycotted for the death penalty, accusations of persistent racism, and inhumane laissez-faire capitalism. It is certainly boycott-prone, many say, because of our murderous wars in Iraq and Afghanistan. Most countries subscribe to the ‘glass house’ theory, however, and put up with perceived political grievances because criticism of their own actions will surely come back to bite them. Critics contend that the Olympics are not a neutral add-on to the world political environment. Because of the visibility of the political chicanery surrounding them, they add the the already high-pressure world of international affairs. So, then, why put up with cheap Olympic hoopla and the professionalization of athletes? Why feed the megalomania of national politicians? The minor sports, such as air rifle, archery, and curling can easily be accommodated in regional events, and quiet international competitions. The major sports like track-and-field and swimming are already celebrated in national and regional events, and they too can hold international competitions much like the golf and tennis ‘majors’. Except for a few real athletic diehards, most Americans watch the Olympics for the treacly, Oprah-style personal stories of living the American dream. The 100m freestyle is over in a matter of minutes, and what counts is the long build-up and the short post-mortem. Who is Michael Phelps, really, and how will he take defeat? Olympic is a great event in the world. Most of the people are like to participate of shooting event. They know what is the best competition air rifle.